Palabora has been in operation since it was incorporated in 1956 and is South Africa's only producer of refined copper. During the 1960s, 1970s and 1980s, the company's open-pit copper mine and associated processing plants produced over 2,7 million tons of copper. Palabora is listed in the JSE. Producing about 60,000 tonnes of refined copper per year, the company supplies most of South Africa's copper needs and exports the balance. The company owes its origin to the unique formation known as the Palabora Igneous Complex. Nowhere else is copper known to occur in carbonitites as is the case at Palabora, and a host of other minerals such as phosphates, vermiculite, phlogopite, magnetite, nickel, gold, silver, platinum and palladium also occur. 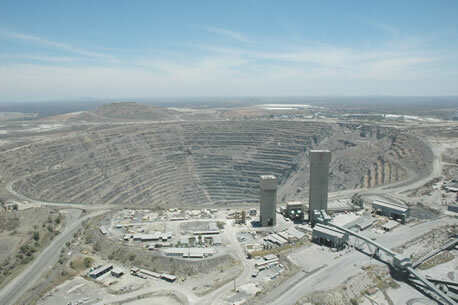 Palabora operates a large block cave copper mine and smelter complex employing approximately 2200 people. The refinery produces continuous cast rod for the domestic market and cathodes for export. Useful byproduct metals and minerals include zirconium chemicals, magnetite and nickel sulphate as well as small quantities of gold, silver and platinum. Palabora has developed a US$410 million underground mine with a production capacity of 30,000 tonnes of ore per day. Palabora also owns a nearby vermiculite deposit which is mined and processed for sale worldwide. Vermiculite is a versatile industrial mineral with hundreds of uses. Some two billion years ago, a series of violent volcanic eruptions, which took place over a period of millions of years, gave rise to a rich body of minerals, which became known as the Palabora Igneous Complex. The unique ore body outcropping at a small saddleback hill, later to be called Loolekop, contains a unique variety of minerals - copper, phosphates, magnetite, uranium, zirconium, nickel, gold, silver, platinum, and palladium. 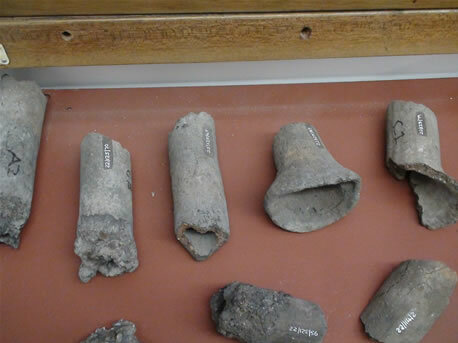 Two other volcanic pipes nearby contain vermiculite and phosphate. Smelting of copper iron occurred in the district prior to the discovery. We know from the artifacts found in the area, that copper of remarkable purity was produced in the Phalaborwa area as early as the 8th century. Development of modern mining activity started at the beginning of the century when several geologists in the noted the occurrence of the phosphate bearing mineral, apatite, in the vicinity of Loolekop.